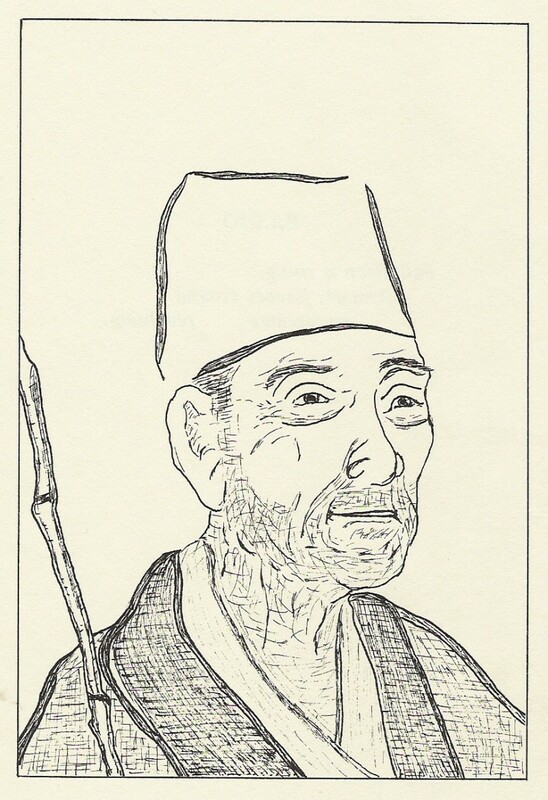 In an effort to indulge my fantasy of posing the 7 haikuHoopla questions to the great master, I asked the authors featured at this site to don the hat of Matsuo Basho for a day. Matt Coughlan’s responses resonated with my imagination of how Basho would have answered. I hope you enjoy this surrealistic departure from our regularly scheduled program. As none of the “haiku” answers follow the conventions, I guess Matt thinks Basho would not have thought much of them! Whilst the concept is good I find the execution sadly lacking. Many modern haiku poets do no follow the traditional haiku conventions as you’ll see in many of the Q&As at this site. You might also want to check out https://www.facebook.com/NaHaiWriMo?fref=ts which is founded by the VP of the Haiku Society of America. The concept for the Basho haiku was to present Basho with a modern spirit. The seven questions are the standard questions for all Q&As at this site. I agree with you when you say “many modern poets do not follow the traditional haiku conventions.” This is in fact nothing short of saying that many (most) modern haiku are nothing but short poems. A haiku is about conveying brilliant ideas in a very formal structured way. This is by its nature difficult, it is supposed to be difficult, it is about ‘showing off’. The sad thing is many poets are; unaware of what a Haiku is, or too lazy, or are just not up to writing a real (good) Haiku. As such we are left with poets trying to pass off their work as Haiku. It is exactly the same as saying a 4 line limerick is a limerick – it is not. If a poet wants to write a Haiku they should write one, following all the conventions. The alternative is to write a brilliant short poem and call it a short poem. ( I would enjoy it just as much) Don’t allow something brilliant to be turned into something mediocre by the masses. I guess what I am saying is; by calling a short poem a haiku, a poet does nothing but demonstrate ignorance, which is the exact opposite of what a Haiku is all about.